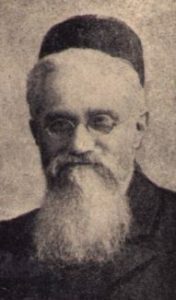 Ze’ev Wolf Yavetz (1847-1924) was born in what is now Kolno, Poland (then part of the Russian Empire) to a wealthy Orthodox Jewish family. A noted scholar from a young age, he became a distinguished historian, linguist, writer, and teacher. When he was 40, Rabbi Yavetz made aliyah to the Holy Land with his family and joined the Yehud moshava, where he worked in a vineyard. 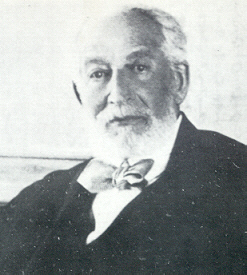 Shortly after, he was hired by Baron Edmond de Rothschild to head the new Rothschild-funded school in Zikhron Ya’akov. (Zikhron Ya’akov was one of the first modern Jewish settlements in Israel, founded by Edmond de Rothschild in 1882, and named after his father Ya’akov “James” Rothschild.) In 1890, when the holiday of Tu b’Shevat came around, Rabbi Yavetz wanted to do something meaningful with his students in honour of the Jewish “new year for trees”. So, he took his class on a tree-planting trip. This turned into a yearly tradition, and was soon adopted by neighbouring schools and villages. Eventually, the Jewish National Fund adopted the custom, too, and to this day over a million Jews participate in the JNF’s Tu b’Shevat tree-planting drive each year. In all, the JNF has planted over 260 million trees in Israel, making it the only country in the world to have increased its tree population in the last century. Meanwhile, Rabbi Yavetz joined the Hebrew Language Committee (famously founded by Eliezer Ben-Yehuda) and helped to develop the modern Hebrew tongue. He coined a number of modern Hebrew words, including tarbut and kvish. Unlike other Zionists, Rabbi Yavetz never abandoned his faith, and worked hard to ensure Jews in Israel observe Torah law, and live like their ancestors. 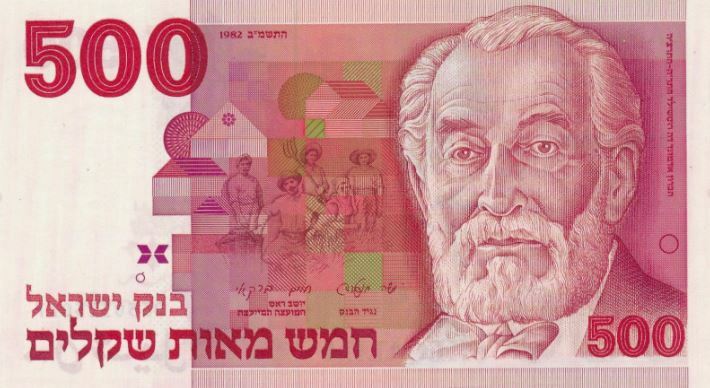 For this reason, he was a co-founder of the Mizrachi religious Zionist movement. (The more well-known Bnei Akiva organization is the youth arm of Mizrachi.) Mizrachi would go on to establish Israel’s Ministry of Religious Affairs, ensure that Israeli government kitchens keep kashrut, and that public services rest on Shabbat. Mizrachi also had a political party, which had many names over the years, and is now known as HaBayit HaYehudi (“The Jewish Home”). Rabbi Yavetz spent the last years of his life in London, where he wrote a monumental 14-volume history of the Jewish people called Toldot Israel. Today, a school in Zikhron Ya’akov is named after him, as is the village of Kfar Yavetz. … from the most inhospitable soil, surrounded on every side by barrenness and the most miserable form of cultivation, I was driven into a fertile and thriving country estate where the scanty soil gave place to good crops and cultivation, and then vineyards and finally to the most beautiful, luxurious orange groves, all created in 20 or 30 years by the exertions of the Jewish community who live there. This entry was posted in Religious Leaders, Writers & Thinkers and tagged Bnei Akiva, Edmond de Rothschild, HaBayit HaYehudi, Hebrew, Hebrew Language Committee, Historian, Israel, Jacob de Rothschild, Jewish History, Jewish National Fund, Kashrut, Kfar Yavetz, Kolno, Linguist, London, Mizrachi Movement, Modern Hebrew, Orthodox Jews, Polish Jews, Rabbi, Religious Zionist, Rothschilds, Russian Jews, Teacher, The Jewish Home, Toldot Yisrael, Tree-Planting, Trees, Tu B'shvat, Zikhron Ya'akov, Zionism on January 31, 2018 by Jew of the Week.